STORY UPDATED: check for updates below. Is this a picture of Nancy Pelosi, Beto O'Rourke and drug kingpin El Chapo? No, that's not true. 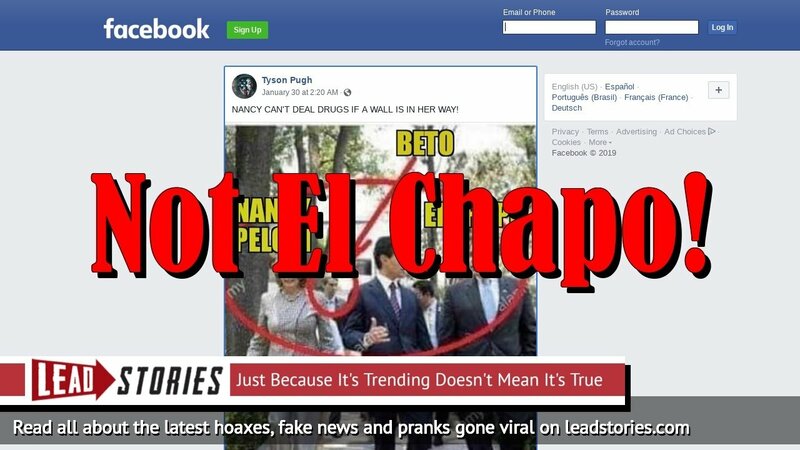 A miscaptioned picture of a 2016 meeting of Mexican President Enrique Pena Nieto with U.S House Minority leader Nancy Pelosi and Rep. Henry Cuellar is being circulated online as proof Beto and Pelosi met the leader of the Sinaloa cartel. 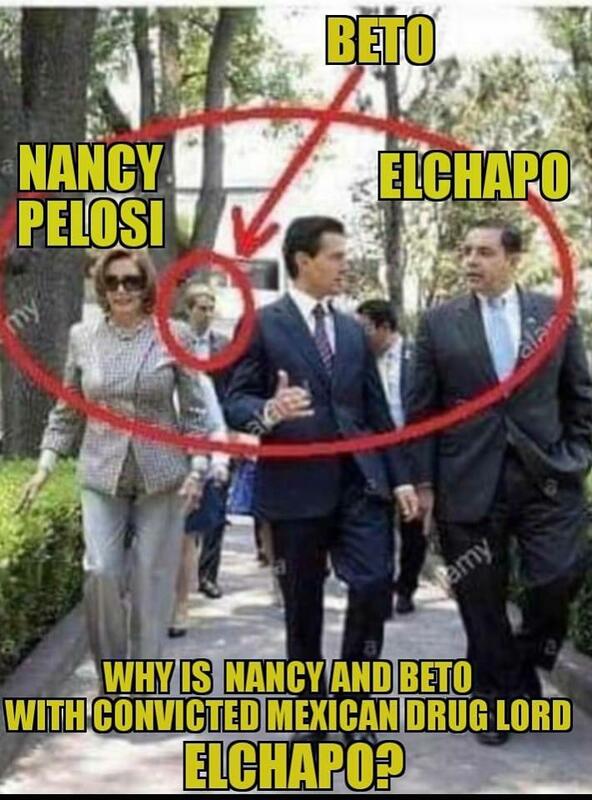 In reality the photo shows Mexican President Enrique Pena Nieto walking with U.S House Minority leader Nancy Pelosi and Rep. Henry Cuellar of Texas on May 3, 2016 during a meeting in Mexico City. At the time Joaquín "El Chapo" Guzmán was incarcerated in Mexico after his last arrest on January 8, 2016 before he was extradited to the United States in 2017. Download this stock image: Mexico City, Mexico. 3rd May 2016. Mexican President Enrique Pena Nieto walks with U.S House Minority leader Nancy Pelosi, and Rep. Henry Cuellar during a meeting at the presidential palace May 3, 2016 in Mexico City, Mexico. : Fixed spelling of Beto O'Rourke's name.